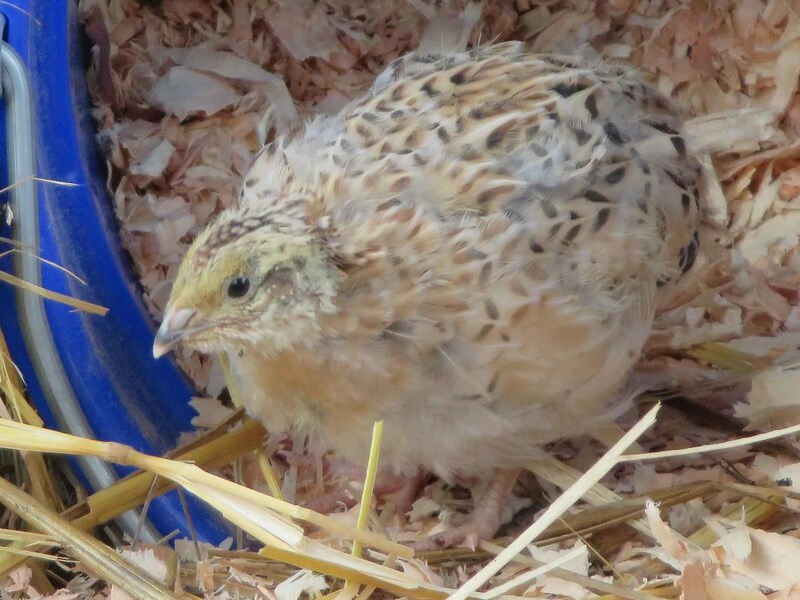 The newest batch of hatched quail are about 3 1/2 weeks old, I believe. 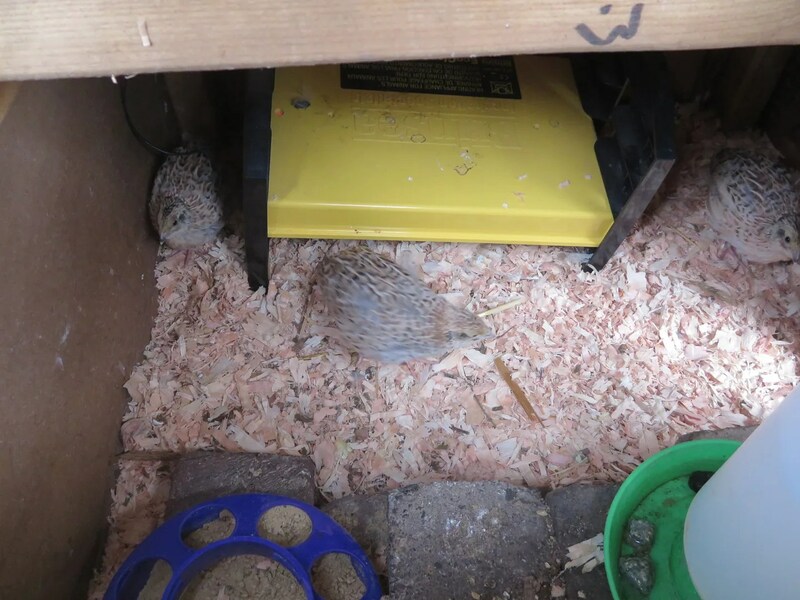 They are about half the size of their parents, but nearly fully feathered, and far too active to be indoors in the brooder box. So yesterday, I moved them outside. They have the full run of the largest coop, but I’ve put their EcoGlow heater inside the nest box area in case they still want some warmth. 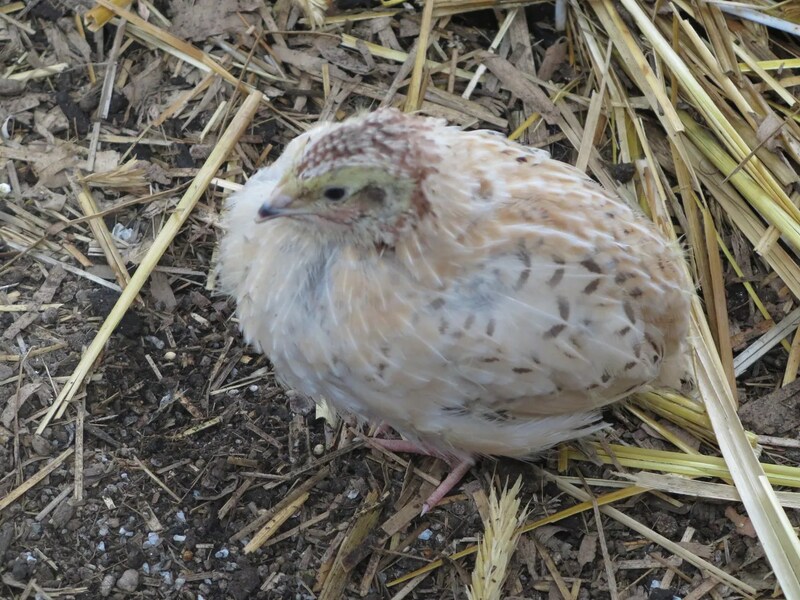 These golden italian coturnix are so pretty. Of course I’m eagerly hoping they will all be females, but it’s still too soon to tell. With this coloring, you can’t tell by the speckling (or lack of) on the chest. 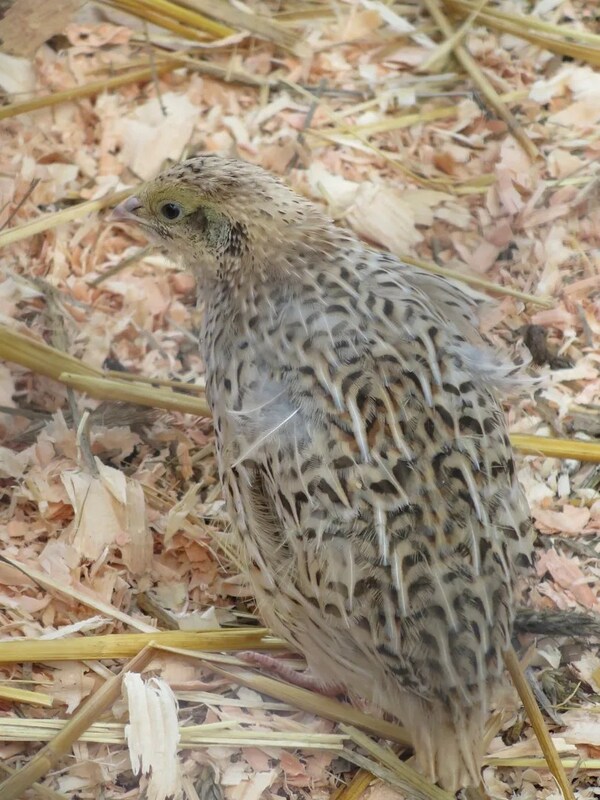 You have to wait for the distinctive head markings to grow in, and of course that’s the last part of quail to get adult feathering. If I had to guess at this point, I’d say I have three girls and a boy, but I’ve definitely been surprised before! Everything is growing so fast right now. 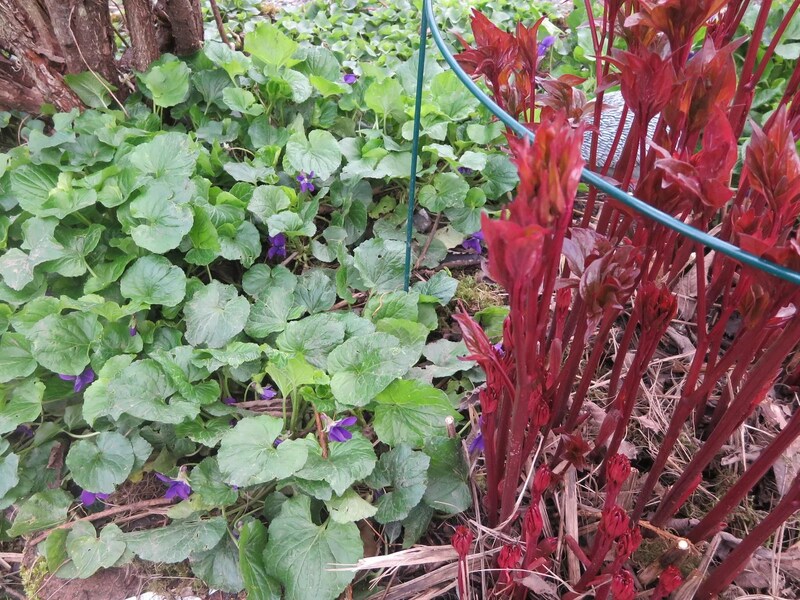 The violets and peonies are up and running, and I just can’t wait until everything is lush and green again. I suffer in the winter, due to lack of green. 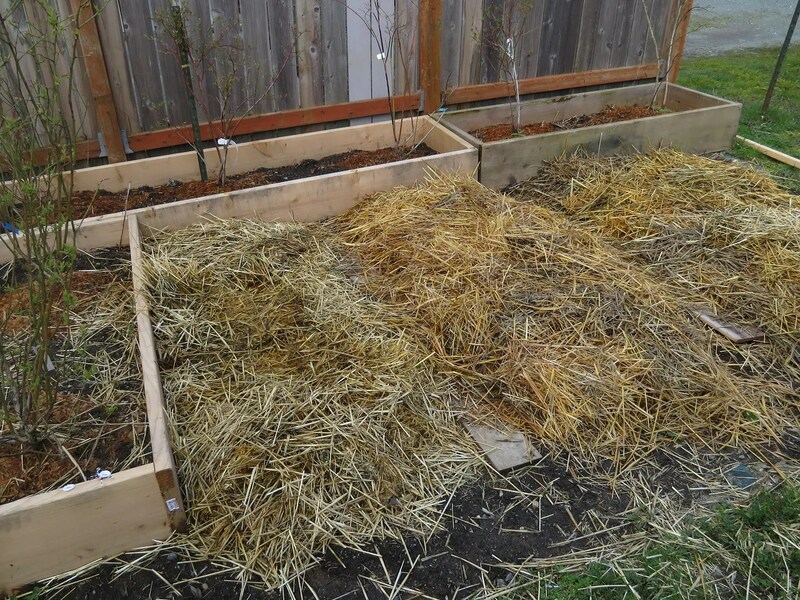 Yesterday, I got the last of the potatoes planted in under straw. 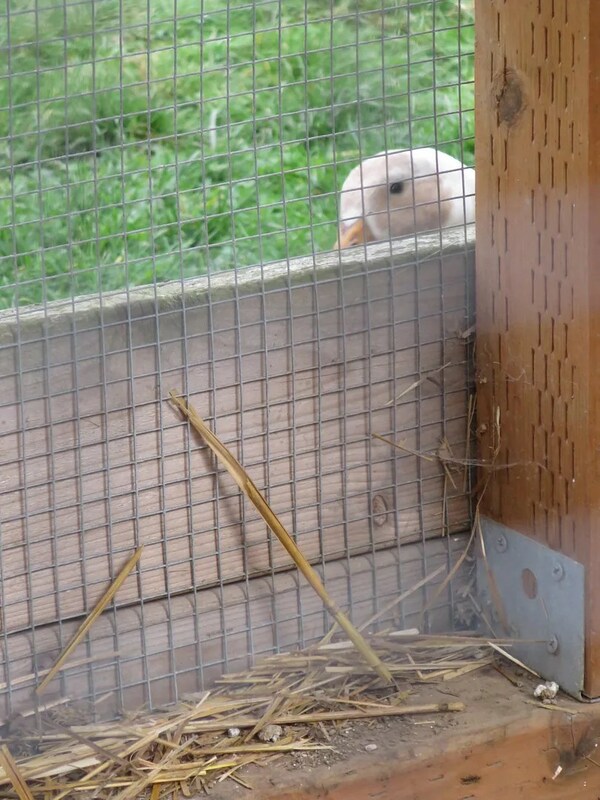 I’ve also been busy fixing up part of the chicken run to welcome muscovy ducks next Spring. 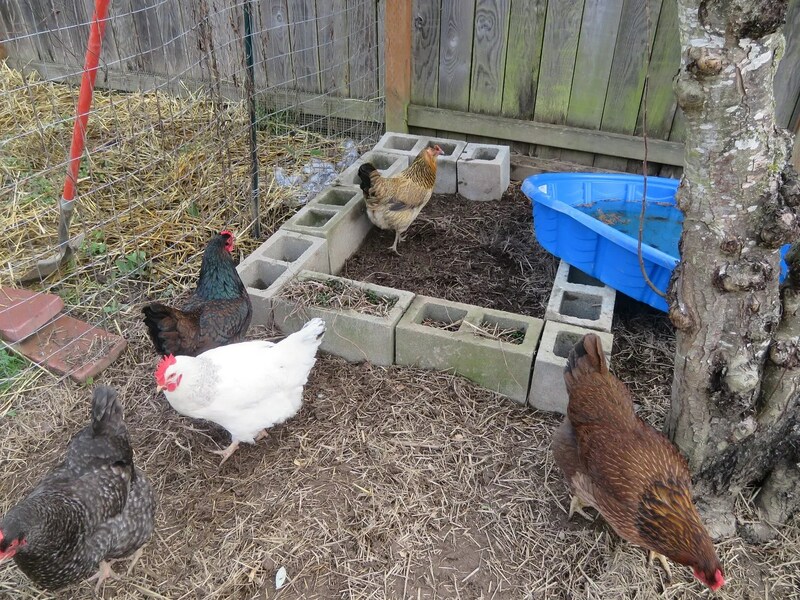 The chickens (happily oblivious this means more dreaded DUCKS) helped me prepare the area where the duck kiddie pool will be. I’m going to make that square slightly larger, fill it with pea gravel, and put the pool on top, with a drainage hose in it so I can send the dirty water out to the garden when I refill it. The holes of the blocks, I’m thinking I’ll plant with peppermint. Ought to be pretty and practical. I really want to get into making more things from scratch, so I can stop buying the really-bad-for-you storebought versions. Plus, homemade just tastes so much better! Today I made mayonaise, soon I’ll try mushroom soup (it’s a base for SO many of my recipes), apple cider vinegar, butter, sour and cream cheeses, and laundry detergent. Dexter the corgi has learned the smell of cheesemaking. He ignores me when I’m heating the milk, but as soon as I put in the rennet, and the curds start to separate out of the whey, he’s right there, sitting at my feet. He’s my taste-tester.